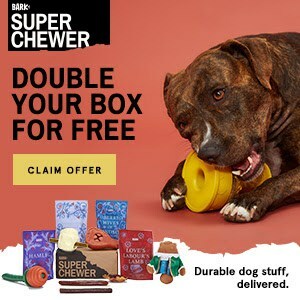 BarkBox - Double Your Super Chewer Box For Free! 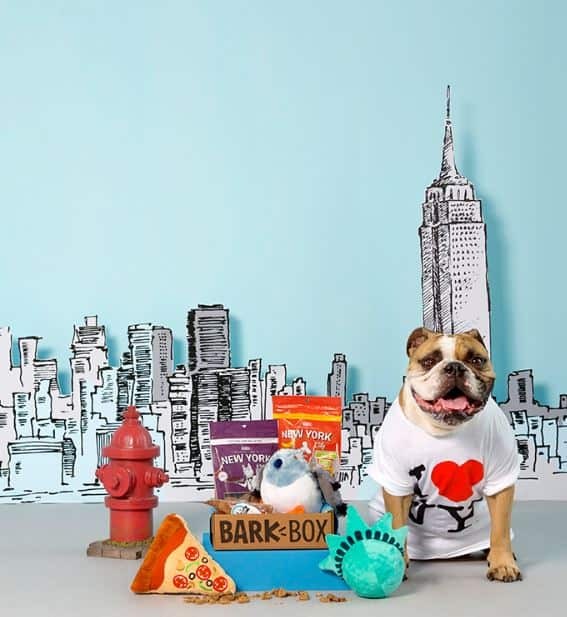 BarkBox – Double Your Box for Free! If you've ever wanted to try out BarkBox – now is the time! Subscribe today, and you'll get the BarkBox Super Chewer Double Deluxe Promo – meaning your first box is double stuffed!! Starting TODAY through the end of the week, you can get your BarkBox Double Stuffed when you use code SCDDAPRIL19 at checkout! BarkBox Super Chewer Boxes are beloved by pet owners and pets alike. They come with at least 2 Tough Toys (fluff free! ), 2 Full Size Bag of Treats (ALWAYS made in the USA or Canada), AND 2 Meaty Chews (which are also always all natural) – all curated from each month's unique themed collection. Plus it has a 100% Satisfaction Guarantee! And…. If your pup doesn't like his toys (or treats!) BarkBox has a Scout’s Honor guarantee that promises to replace any item that doesn’t work for your pooch! I'm definitely going to give this a try. Considering you're going to get 4 Toys, 4 Full Sized Treats, and 4 Meaty Chews, you can't go wrong giving this a try if you've got a pup (or two!) at home. ⭐⭐Keep in mind – plans renew automatically, but you can cancel your plan any time by clicking the Subscriptions tab in your BarkBox account and choose cancel.